Join the author and I discuss the effectiveness of this tool in the arensal of weapons used to fight the opiate epdiemic. 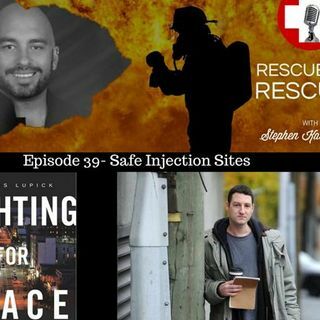 Travis Lupick is an award-winning journalist based in Vancouver’s Downtown Eastside and the author of Fighting for Space: How a Group of Drug Users Transformed One City’s Struggle with Addiction. He works as a staff reporter for the Georgia Straight newspaper and has also written about drug addiction, harm reduction, and mental health for the Toronto Star.